The U.S. and Russia have accused each other of violating terms of a longstanding Open Skies Treaty that allows participating nations to conduct unarmed reconnaissance flights over each other’s territories. The flare-up could lead to tightened restrictions on the flights, which were designed to ease tensions over military forces and activities. The official added: “We hope this will change Russia’s calculus and encourage Russia to engage with us about our concerns more constructively. 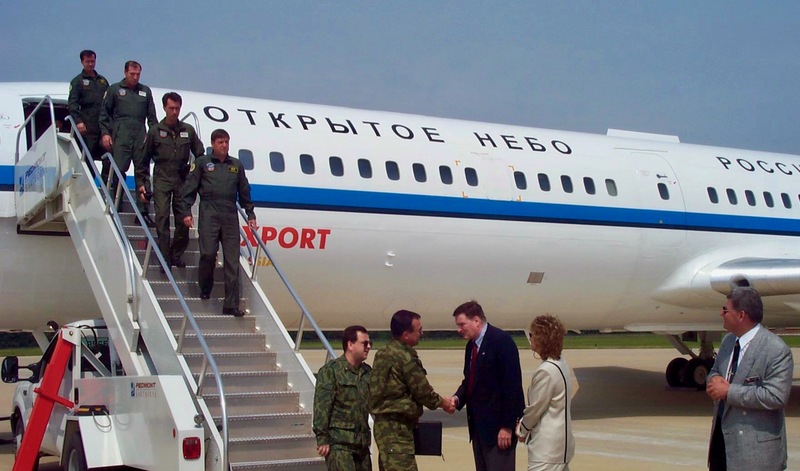 We’re ready to reverse these measures at any time, should Russia come back into compliance with its Open Skies Treaty obligations." Testifying before the Senate Armed Services Committee on September 26, Marine Gen. Joseph Dunford, chairman of the Joint Chiefs of Staff, said the U.S. declared Russia in violation of the treaty in June. Rep. Mac Thornberry (R-Texas), chairman of the House Armed Services Committee, released a statement on September 26 saying the Trump administration had notified him of pending new restrictions to the treaty, which he applauded. The U.S. signed the treaty in 1992 during the administration of President George H.W. Bush. Overseen by the Open Skies Consultative Commission in Vienna, the agreement entered into force in 2002 and now comprises 34 nations. The U.S. Air Force uses a pair of Boeing OC-135B four-engine jets for the treaty-monitoring mission. Russia has used aircraft including the Tupolev Tu-154M-ON trijet, one of which overflew sites including the U.S. Capitol in Washington, D.C., the Pentagon, Joint Base Andrews and President Donald Trump’s Bedminster, New Jersey golf club in April with U.S. personnel aboard, according to media reports. Plans call for the Russian Air Force to replace the Tu-154 with the twin-engine Tu-214ON for the mission. Responding to the anticipated U.S. action, Russian Deputy Foreign Minister Sergei Ryabkov said his nation has “a number of counter-claims addressed to the United States,” regarding compliance with the treaty, the Russian news agency Tass reported. Russia expects the U.S. will impose restrictions on overflights beginning in January and will respond in kind, Ryabkov said, according to the report.